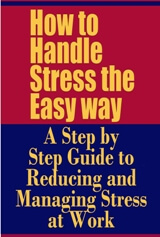 This guide will show you exactly how to reduce and manage the stress in your life. Create a quiet scene. You can't always run away, but you can "dream the impossible dream." A quiet country scene painted mentally, or on canvas, can take you out of the turmoil of a stressful situation. Change the scene by reading a good book or playing beautiful music to create a sense of peace and tranquillity.